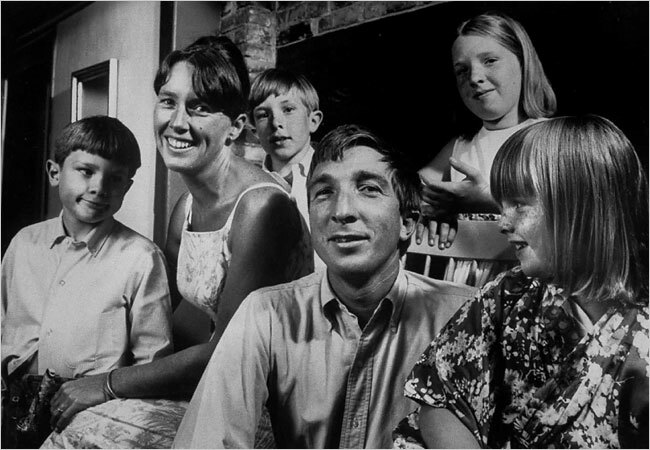 In 1962 the Updikes had just moved to Ipswich Massachusetts, where John occasionally took his three older children to the local dump, leaving their new baby with his wife Mary. When his affair with Joyce Harrington was discovered, Mary confessed to one of her own, and forgave him. But Joyce’s husband wanted a showdown, so the family decamped to Europe to let the dust settle. The drama led to a whole series of stories about adultery, culminating in his first best-seller, Couples. This poem, – “Love it now./Love it now, but we can’t take it home.” – tells why Mary would win; he loved his children more than his mistress. to be a momentary toy. To me, too, the waste seems wonderful. all pluck at my instinct to conserve. at a heaped banquet of food too rich to eat. The distant metal delicately rusts. makes flags of cellophane and upright weeds. once played to death can be revived by them. no longer shared of remnants. and I can only tell her, “Love it now.